Many investors aren’t able to differentiate between a regular plan and direct plan for investing in a mutual fund. So let me explain what is a regular plan and direct plan for investing in a mutual fund. 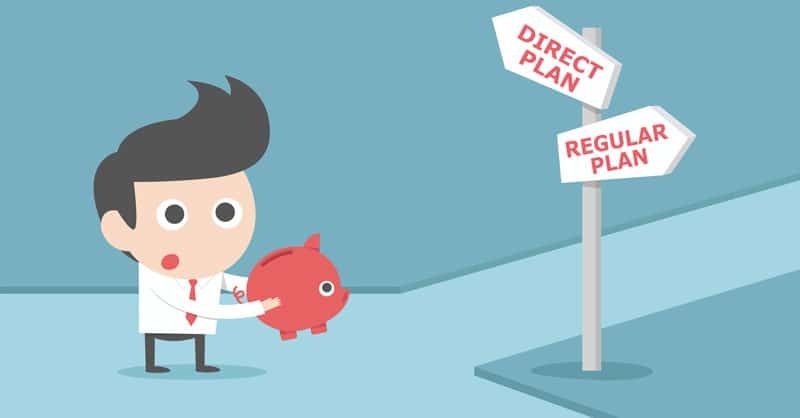 Why direct plans are a smarter choice for investment and how one can switch their existing ongoing SIPs in a regular fund to a direct fund. And the most important part which is how one can switch the already invested amount in a regular fund over to direct funds. What is the Difference between Regular Fund and Direct Fund? SEBI has been very active in doing the reforms for the Indian retail mutual fund investors. One of the reform was to have transparency by the fund houses in the commissions paid to the brokerage houses and mutual fund advisors. This led to the fund houses to come up with a new fund exactly similar to the original fund for those investors who do not wish to pay the commissions to the brokerage houses and advisors. So every fund plan that had a commission being paid become the regular plan and an alternate direct fund was introduced by the fund house where the distributor commission isn’t paid. So every fund now has 4 investment options. Every growth and dividend option now has direct and regular fund. Investors are free to invest directly with the fund house and eradicate the commission. Thus reducing the expense ratio of the fund by a big margin. 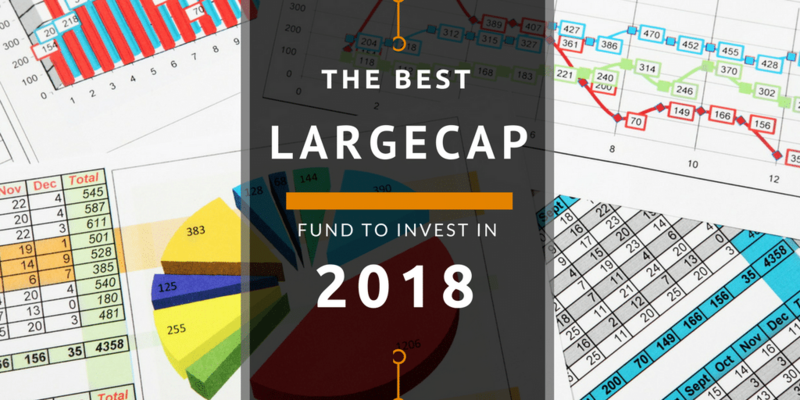 So if we look at the best large-cap fund of 2018, we see these 4 fund option. We can see 2 NAVs for each of the fund options aka regular plan and direct plan. 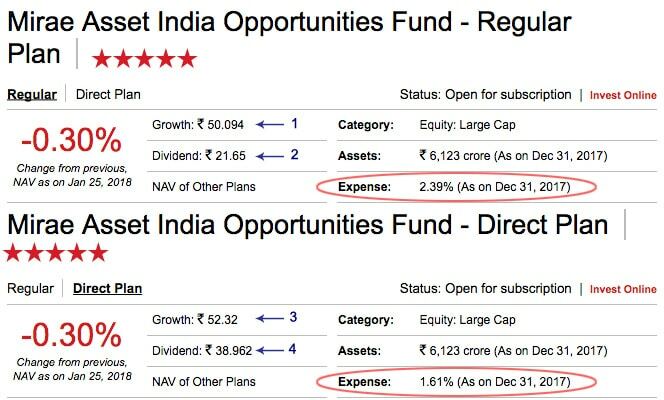 The difference in both the funds is in the expense ratio circled as red. Under the regular plan the expense is 2.39% of the total asset under management and in a direct plan, it is 1.61% of the total asset under management. Direct plans are always a better choice than regular funds but it can also mean you need to be investing directly in the fund house. So you may need to invest individually in each of the fund house and maintain online accounts with each fund house. Here is a step by step guide to investing in a direct fund. Note: Some third party sites allow investing in the direct funds where they aren’t being paid any commission from the fund house for direct funds. So they charge a minimum annual fee from the investor. I am yet to get an account with them but have plans to do so in 2018 for sure. I think it is a smarter choice of using them than maintaining so many accounts with so many fund houses. Switching SIPs From Regular Fund to Direct Fund? The best way to switch a SIP from a regular plan to direct plan is to stop the SIP in the regular fund and start a fresh new SIP in the direct fund. Once the SIP has switched, consider the already invested amount via the SIP or otherwise in the fund as a lump sum investment and switch from a regular plan to a direct plan will be as below. How to Switch from Regular Fund to Direct Fund? A switch from one fund to other is actually a withdraw of funds from one fund and investing it back in the other fund. So it has a couple of expense factors to consider. Exit Load: Fund charges a small nominal fee if the amount is withdrawn prior to a specified period of time. Ideally, it ranges from 6 months to 1 year for most of the equity fund. Tax: The profit on the invested amount can have tax liabilities. If the amount remained invested in the fund for more than 1 year, it may incur long-term capital gain or LTCG else short-term capital gain or STCG the returns are tax-free. For equity funds, if the invested amount has remained invested for 1 year, there won’t be any exit load. Again this can vary from fund to fund. So one should stop all the SIP in the regular fund and let the investment remain in a regular plan for 1 year before making a switch from to direct plan. Note: For tax saving ELSS funds, there is a lock-in period of 3 years and so one can’t switch funds. Even if one is switching after the lock-in period of 3 years, the investment in the ELSS direct fund is considered as a new investment for that financial year and so you may not need to invest again in the same fiscal for tax saving purpose. The above option is simpler for calculation sake but ideally one can switch those units that remained invested for one year but will need too much of a calculation pain for very little gain. If some of the investments are for a very long time, one can do a partial switch of units as well. For example if an investor started a SIP in an equity fund 5 years ago and want to switch 25% or 50% of the units held in a regular plan to direct plan, it shouldn’t have any exit load but can have LTCG tax payable because of the units have remained invested for more than 1 year of time. However, it is advisable to make an exact calculation before the switch. Switching existing investments from regular plan to direct fund should be done with a lot of care because you plan to save close to 1% of the total invested amount from expense ratio of the fund but doesn’t make sense to pay 1% as exit load upfront. On top of that, you may open up the tax liability as well. So switch with utmost care. You are here: Home / Mutual Fund / How To Switch From Regular Funds To Direct Plan?